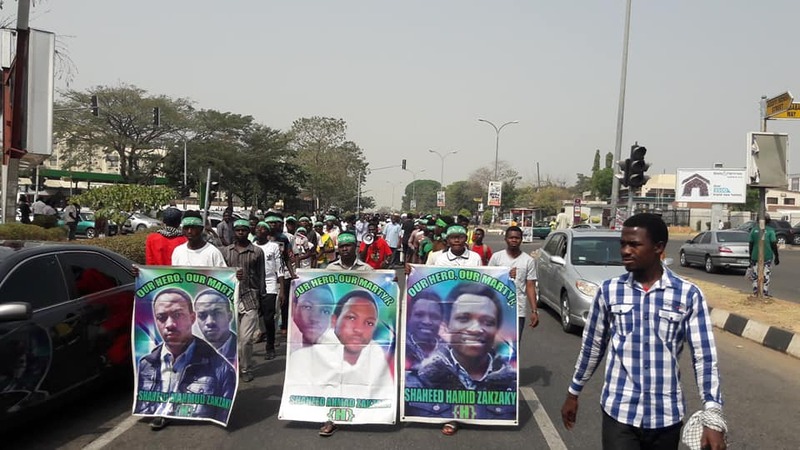 Below please find an update on the continuous Free Zakzaky protests. 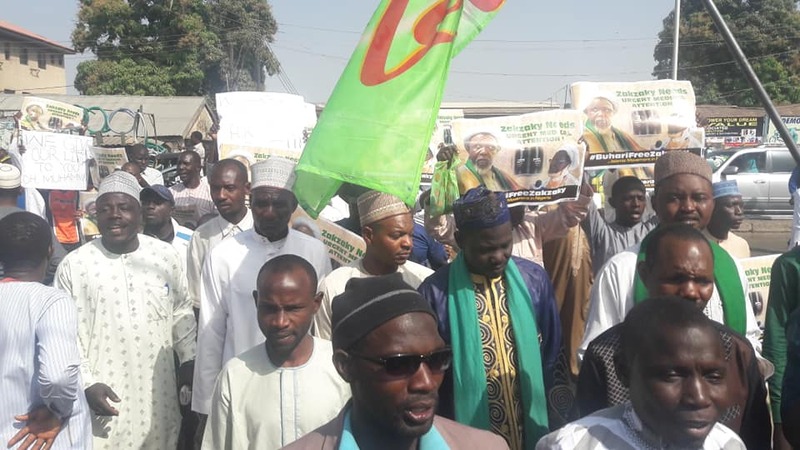 During the last week Kaduna High Court further adjourned the illegal trial of Sheikh Zakzaky to 25 March 2019. 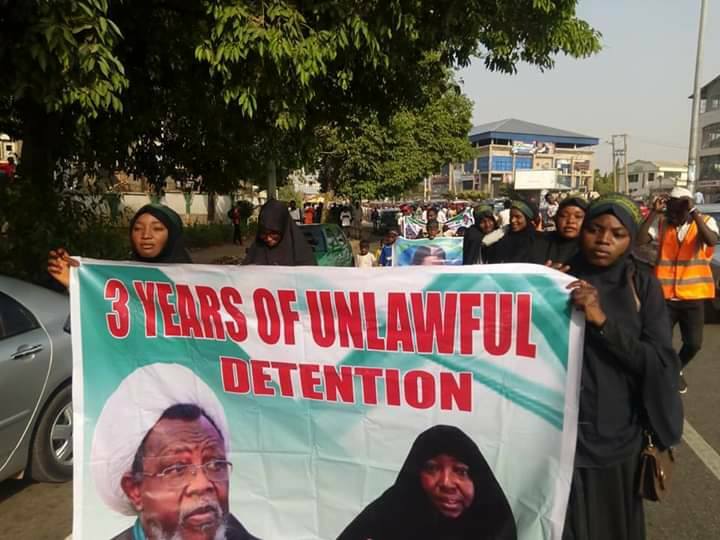 We request campaigners to keep the pressure on the African Union by writing emails/letters, demanding the immediate release of the Sheikh and all those unjustly imprisoned. 2. 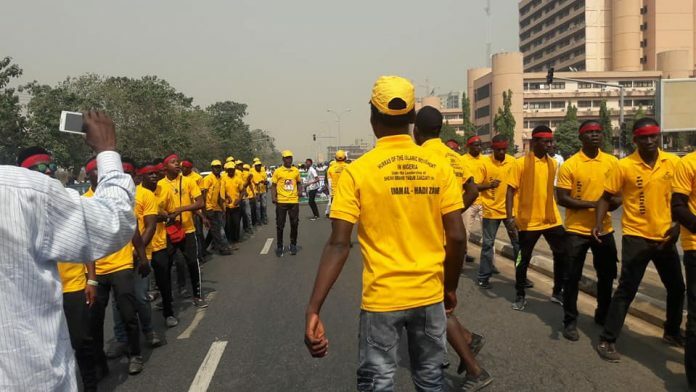 CLICK HERE to send an email to the African Union and demand their intervention in this case, a model letter and contact details of the African Union are also provided below. Please forward any response you receive to IHRC on wajahat@ihrc.org. 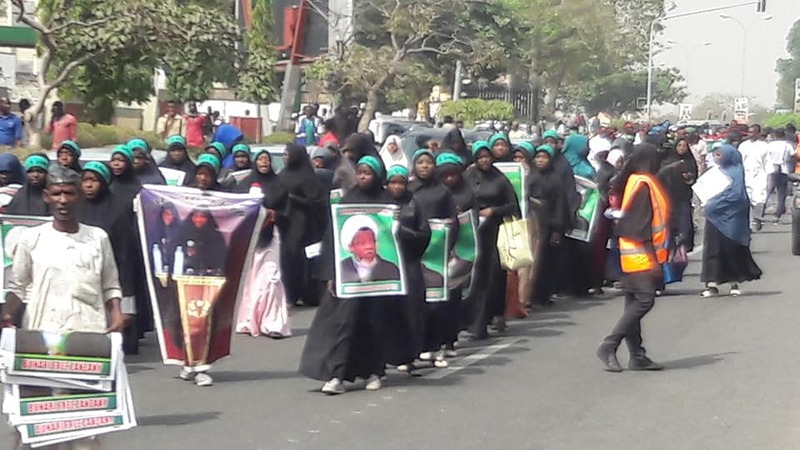 The African Union’s silence on this issue is putting more innocent lives at risk. 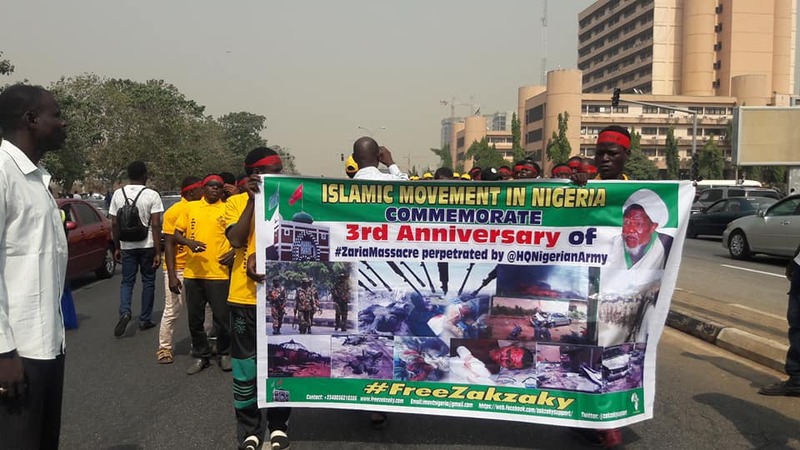 Recently Nigerian authorities have killed over 60 peaceful FreeZakzaky protesters, and arrested, tortured, and injured hundreds of them with live bullets in a barbaric attack on ArbaeenTrek 2018. 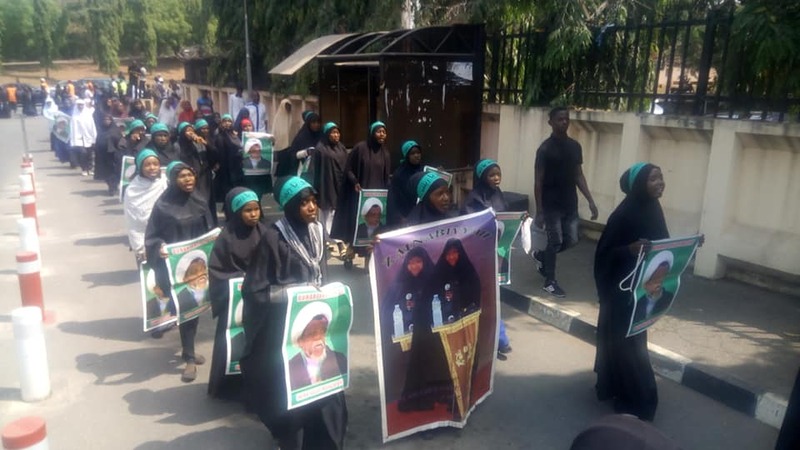 Free Zakzaky Massive Protest in Abuja on Thursday the 24th of Jan 2019. 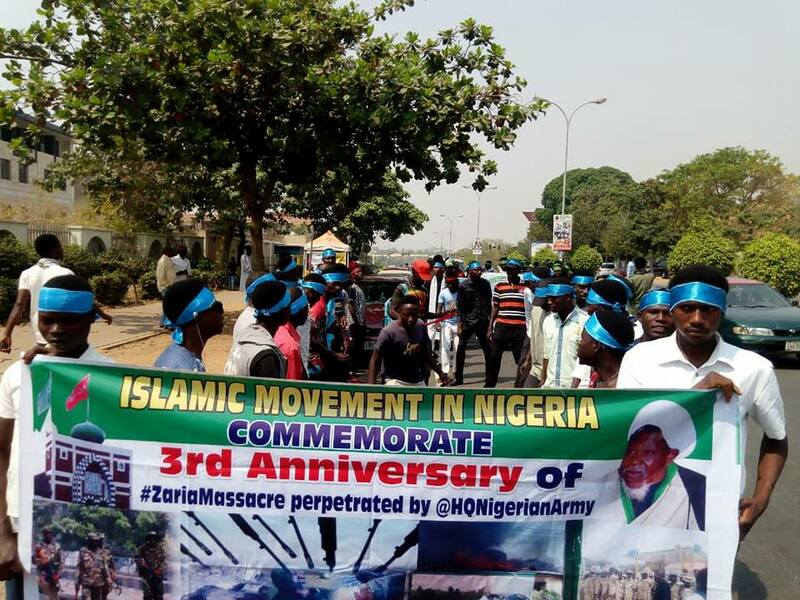 Who’s Denying Sheikh Zakzaky Freedom? 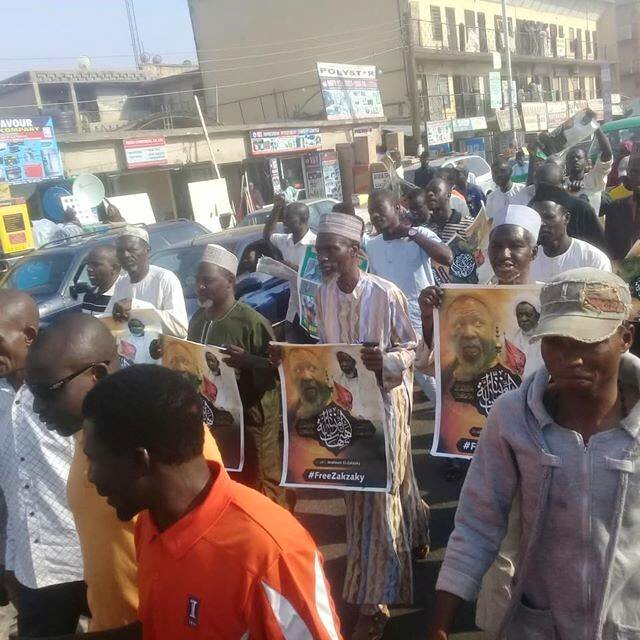 It is exactly 1140 days since when Buhari administration incarcerated our Leader, Sheikh Ibraheem Yaqoub Zakzaky, for whom we have come out today demanding his unconditional release from illegal detention. We will not rest on our oars until and unless we achieve our aim, or we become martyrs in the path of Allah. 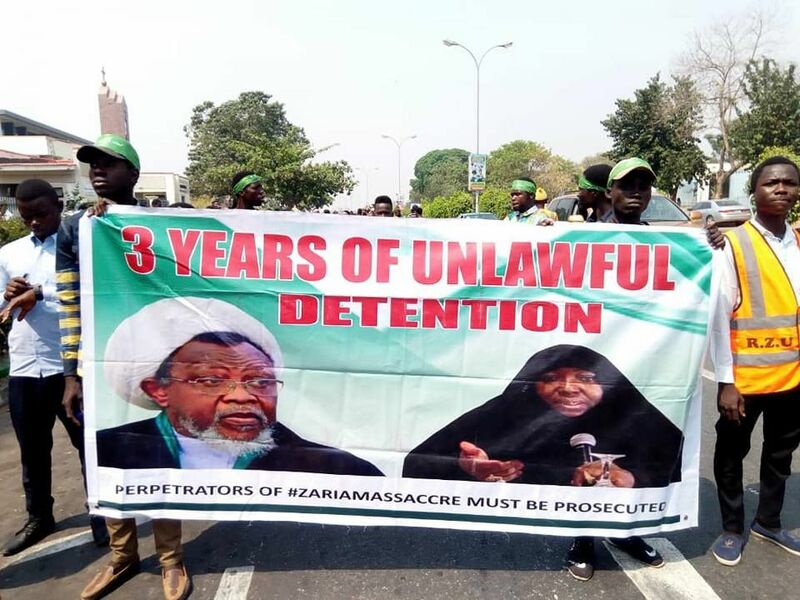 Also today, 791 days ago, a competent Abuja high court in its ruling ordered that Sheikh Zakzaky and his wife should be released with a N50M compensation be given to them because the government has denied them their fundamental human right, but Buhari’s government contemptuously flouted that landmark court order. Click here to read the full article. The court had earlier in November 2018 denied bail to the Defendants despite their visible ill health. 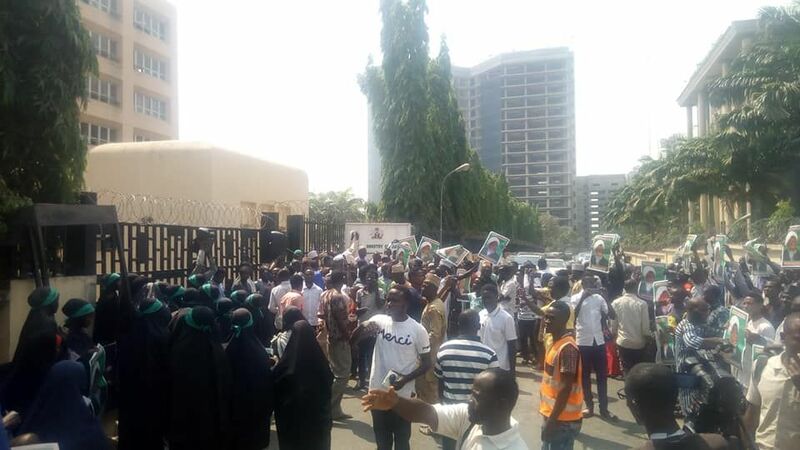 However, at the hearing today, the Counsel for the Defendants Mr Femi Falana SAN, after highlighting the bad health conditions of the Defendants made a fresh application for the court to make an order for them to be flown abroad for medical treatment. Click here to read the full article. 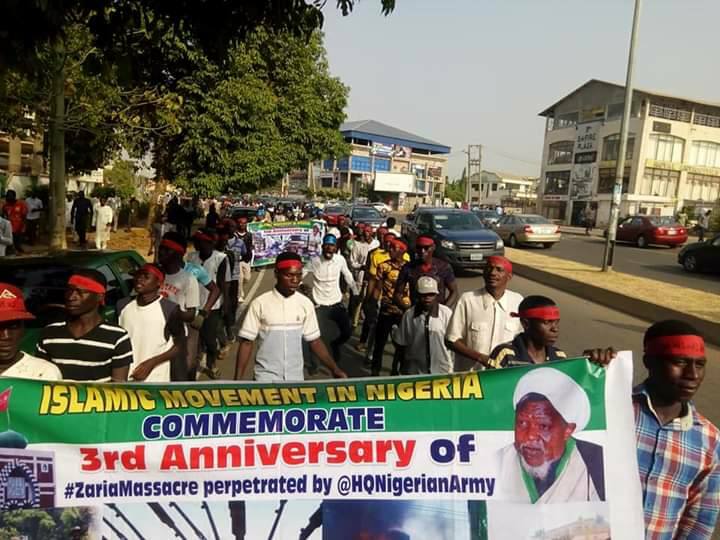 Free Zakzaky Massive Protest in Abuja on Tuesday the 22nd of Jan 2019. 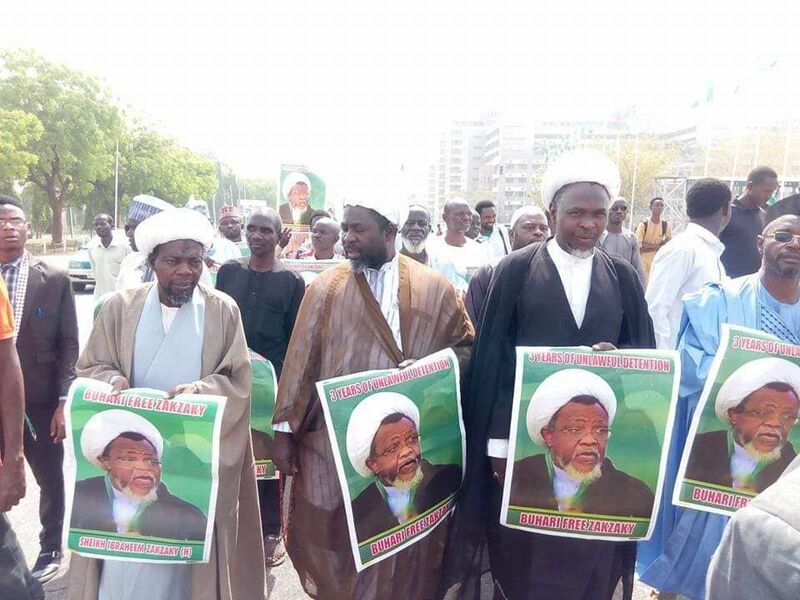 Chief Falana said, “The condition of the wife of Sheikh Zakzaky is even worst as there are multiple bullets that were lodged in her body during the brutal attack of December 14, 2015 which have not been extracted”. 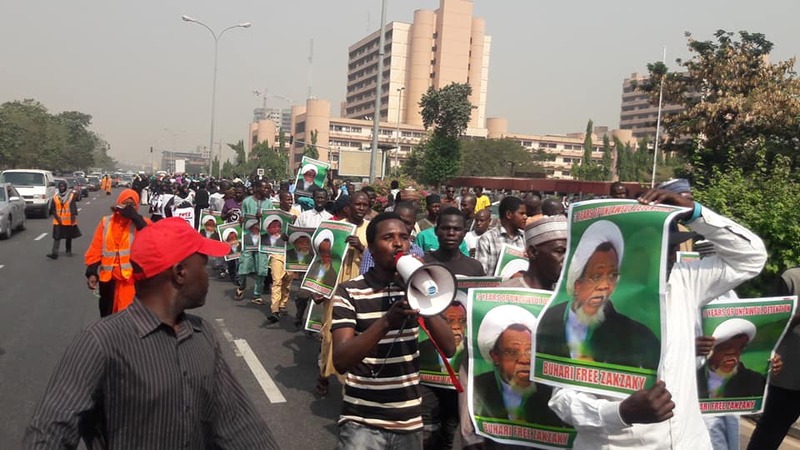 In the long run, the Judge has pledged to deliver judgement on the application forwarded by the Counsel to Sheikh Zakzaky, to grant the Sheikh access to medical treatment abroad. 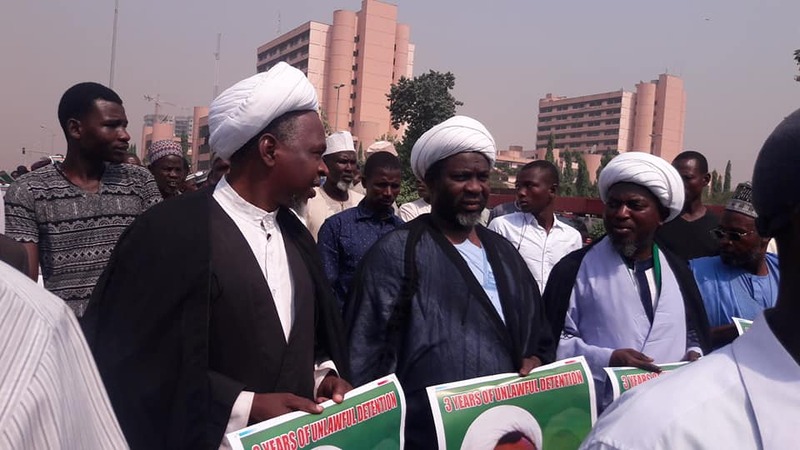 As acknowledged by the Counsel, “Government had failed to grant Sheikh Zakzaky proper medical attention he needed, following the pain and agony of the Army attack on 24th of December 2015”. 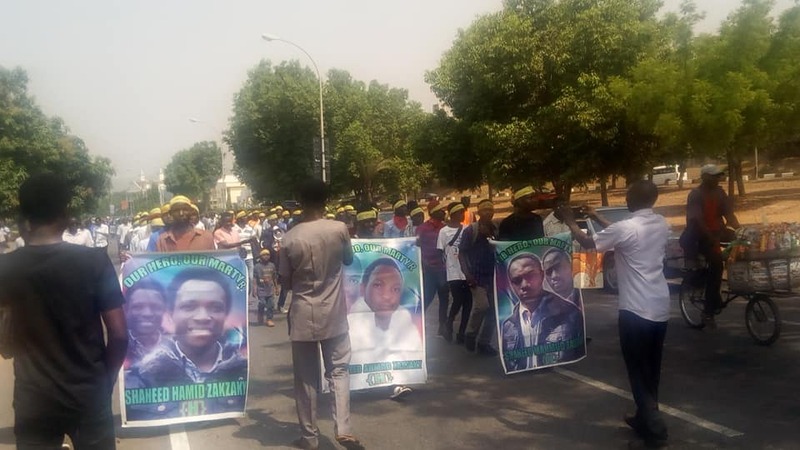 Eventually, the case was again adjourned to 25/03/2019. The trial as usual was held under tight security measures. Click here to read further details. 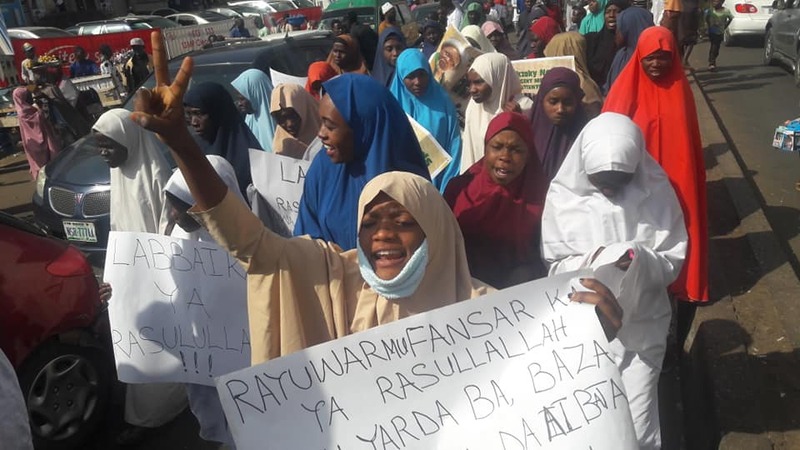 As court in Kaduna is preparing for the hearing of Sheikh Zakzaky’s case on Tuesday 22/01/2019, in a baseless charge compiled before it by the Kaduna State government, multitude of brothers and sisters stormed the city on Monday the 21/01/2019, reiterating their calls for the immediate and unconditional release of the leader, his wife and several other faithful disciples in different security detentions cells for over 3 years. 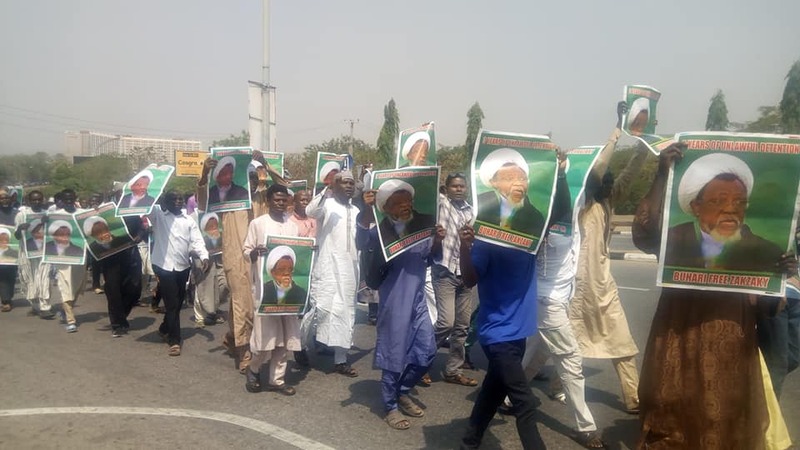 The protest which was lead by Brothers’ representative in Kaduna, Sheikh Aliyu Turmidhi marched peacefully chanting different slogans for the freedom of their leader. 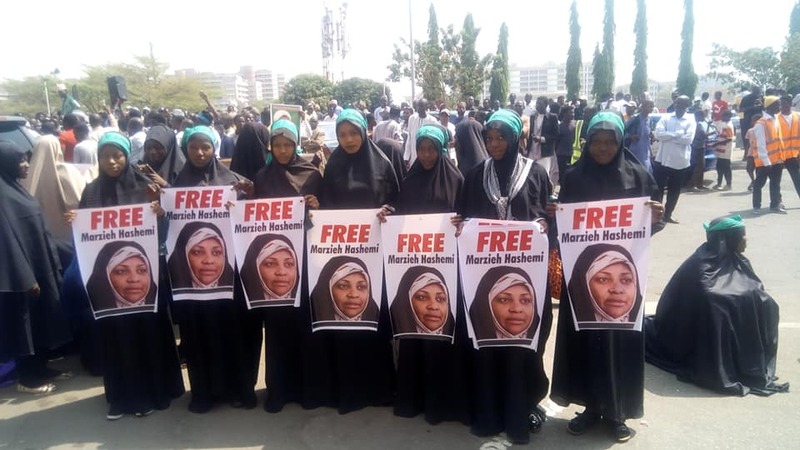 Sisters Forum Of the Islamic Movement in Nigeria under the leadership of Sheikh Ibraheem Zakzaky condemned the Illegal arrest and detention of Marzieh Hashemi, an American Journalist, also an anchor at Press TV who was whisked away by U.S Govt. through it’s FBI. 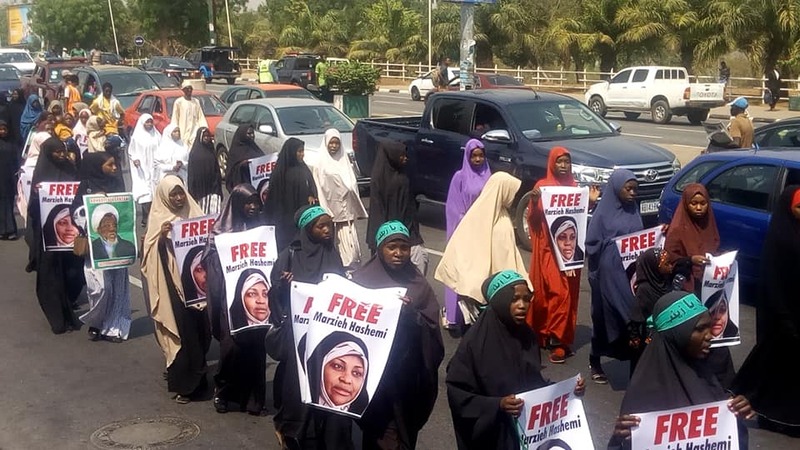 The sisters called upon the American Government to release the Journalist unconditionally on Monday the 21st of Jan 2019 during a protest they staged in Abuja. 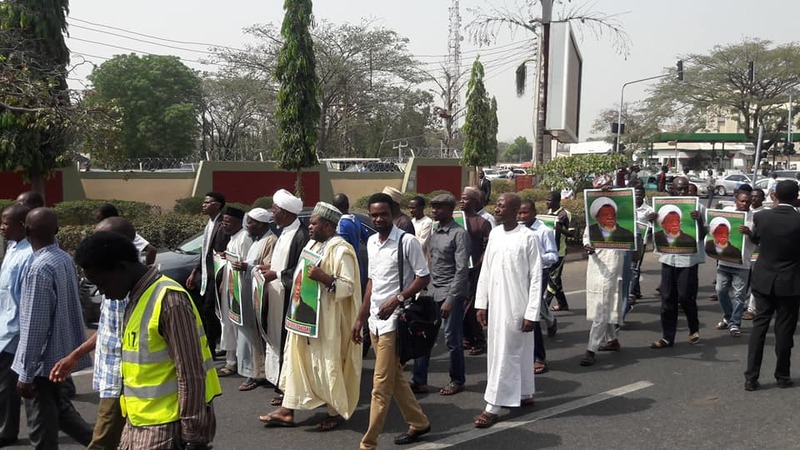 A massive #FreeZakzaky protest was organised in Nigerian capital Abuja on Thursday 17 January 2019, calling for the immediate and unconditional release of leader of the Islamic Movement in Nigeria, Sheikh Ibraheem Zakzaky, his wife and several other faithful followers in illegal detention for over 3 years. 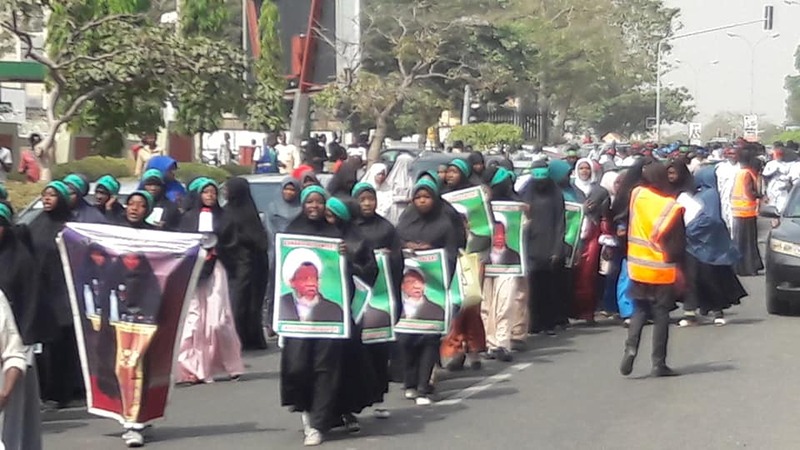 A massive FreeZakzaky protest was organised in Nigerian capital city Abuja on Tuesday 15 January 2019. 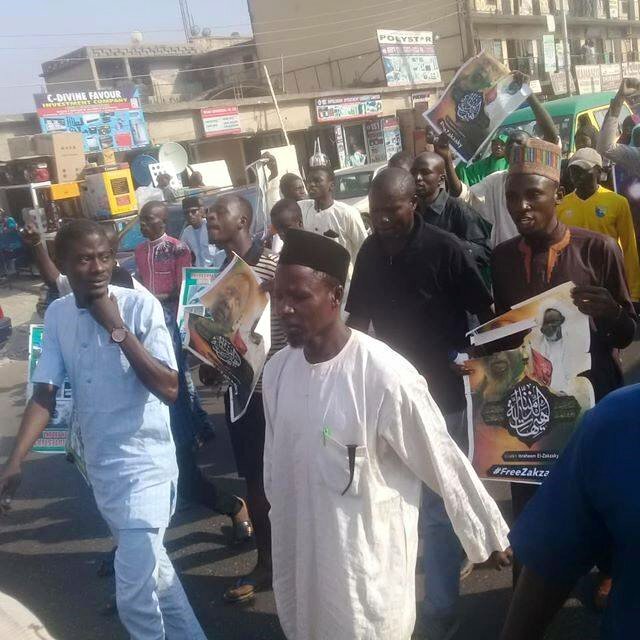 The protest peacefully terminated along Kano road, a stone’s throw to 69 garage junction, T/Nupawa, Kaduna. 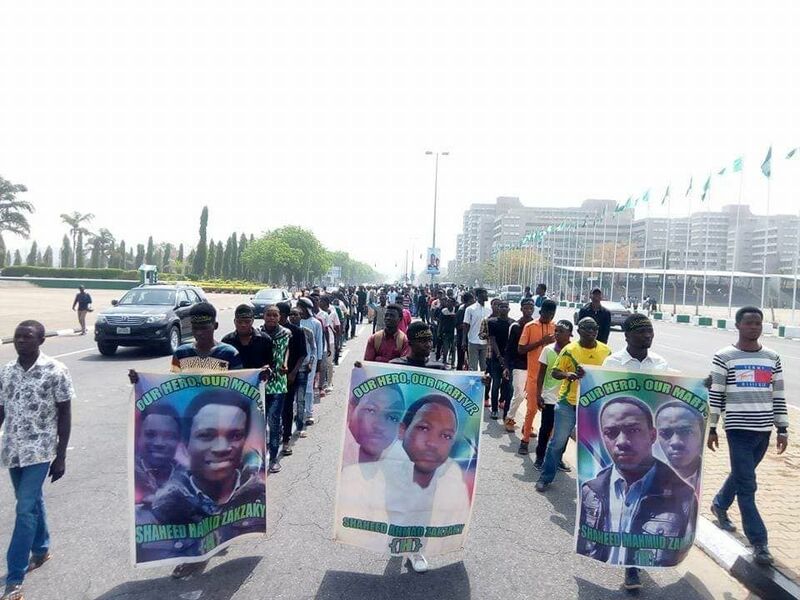 I am a Christian, Why I am here at a FreeZakzaky Protest, listen to a message from a Nigerian Christian demanding freedom for the Leader of the Islamic Movement.